VALTRON® epoxy adhesive systems are available in various formulations designed to meet the specific needs and performance requirements in photovoltaic (solar) and semiconductor wafer production using both annular (ID) slicing and wire saw slicing processes. These patented two-component quick-curing adhesive systems are made with unique components and offer performance characteristics that maximize production throughput and reduce the amount of stress occurring between the crystalline ingot and the adhesive. This reduction in thermal stress from curing results in a decrease in the amount of edge chips that occur during ID slicing. VALTRON® adhesives prevent ID blade loading onto the annular saw and will eliminate saw marks, increase saw blade life, and improve slicing yields. Easy removal of the epoxy adhesive from the sliced wafers with a VALTRON® heated detergent solution eliminates the need for aggressive acids, caustics, and solvents. 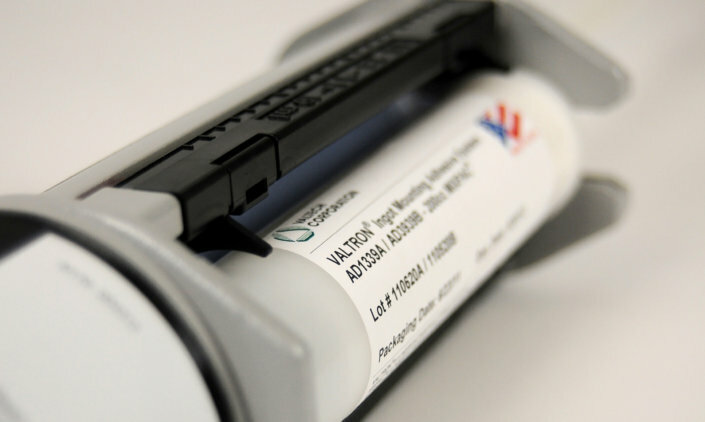 VALTRON® adhesives are color pigmented to easily indicate when a complete mix of resin and hardener is achieved, and provide fast cure times at room temperature to improve increased productivity. VALTRON® epoxy adhesives are designed for the annular (ID) slicing process. 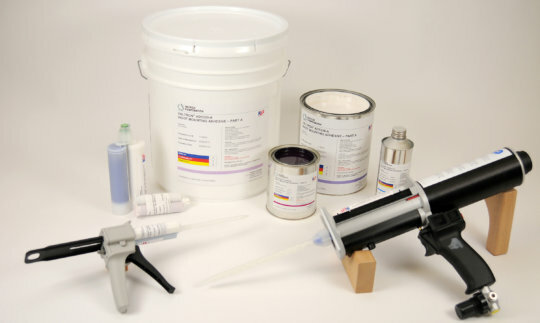 Unique components are incorporated into product formulations to reduce the amount of physical stress occurring between the crystalline material and the epoxy adhesives. This reduction in stress results in a decrease in the amount of exit chips that occur during slicing. These epoxies are also designed to prevent loading onto the annular saw blade and will eliminate saw marks and increase saw blade life. Valtech Corporation has developed adhesive products designed specifically for the wire slicing process. 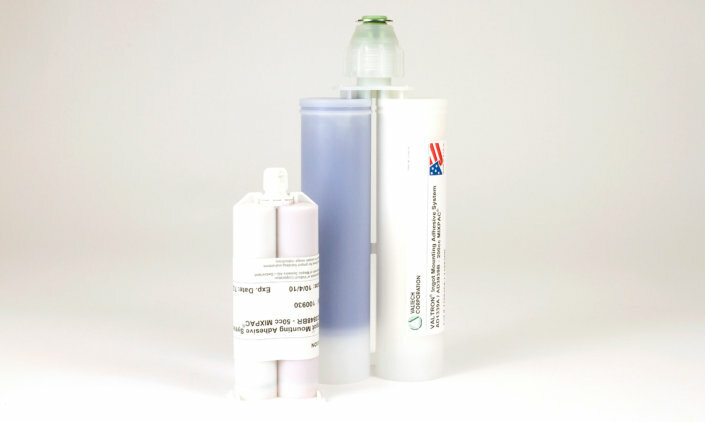 These quick curing adhesive systems were developed to maximize production throughput. Removal of the epoxy from the sliced wafers is easily accomplished with a heated VALTRON® detergent solution, eliminating the need for aggressive acids and solvents. VALTRON® temporary bonding adhesives are two-part epoxies that are formulated for easy debonding from substrates offering an alternative to wax mounting of parts with the added benefit of easier cleaning. VALTRON® temporary adhesives are strong enough to support typical slicing or machining operations after a one-hour cure time at room temperature. Following the cutting or machining process, parts are easily dismounted from any substrate by placing in hot water at a temperature of range of 90 – 95°C (203°F). Sufficient volume of hot water (preferably DI) is required so water temperature does not drop below 90°C when parts are placed in the demounting bath. 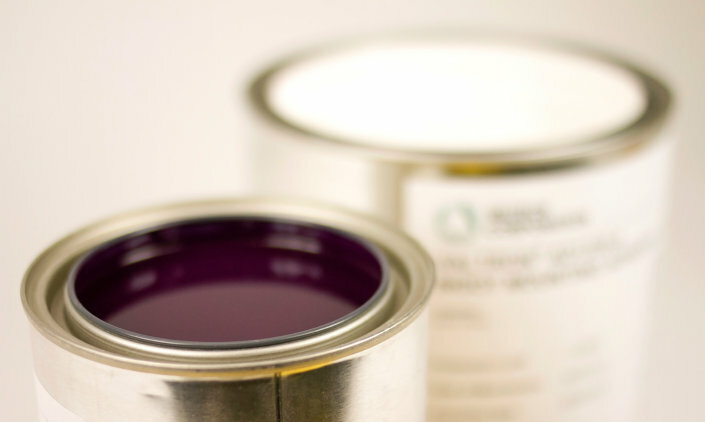 This same bonding adhesive technology can also be used as a temporary protective coating for sensitive components.